Links to state, regional, and national resources for information on shellfish aquaculture. Over the past decade there has been a shift in oyster consumption patterns that reflects an increasing preference, and a price premium, for single or half-shell market oysters. Washington's shellfish aquaculture industry has responded by increasing intertidal single oyster culture, and especially specialty single oyster culture, primarily in bags made from extruded polyethylene material. Shellfish harvesters in Alaska are required to complete shellfish harvester education training prior to receiving an Alaska Department of Environmental Conservation Shellfish Harvester Permit, and every two years thereafter. Photos and characteristics help identify Alaska shellfish. The 2013 Census of Aquaculture provides a comprehensive picture of the aquaculture sector nationwide. The aquaculture census collects detailed information relating to production methods, surface water acres and sources, production, sales, point of first sale outlets, and aquaculture distributed for restoration, conservation, enhancement, or recreational purposes. Hundreds of photos of sea animals with short descriptions. Shellfish farming in Alaska has grown to a value of about $1 million since 1990. Growers cite seed availability, slow growth rates, labor costs, outdated technology, shipping costs, and harmful algal bloom closures as limiting profitability. There is a huge potential for growth and improvement, with Alaska's vast growing areas and the excellent reputation of Alaska seafood. The goals of the Molluscan Broodstock Program were to improve Pacific and Kumamoto oyster broodstock through selection in order to enhance commercial yields and other desirable traits; establish a broodstock management program for industry for sustainable, long-term improvements in commercial production; and maintain a repository for selected top-performing oyster families. 2011 Alaska Shellfish Festival in Ketchikan. Post-harvest quality of selected molluscan broodstock Pacific oysters (Crassostrea gigas) raised in Alaska and Washington in October 2009 and June 2010. Overview of shellfish farming in Alaska after 20 years. Pictures tell the story of building the gear and setting up the Alaska Gold Oyster Farm in Southeast Alaska. A very active and open-information shellfish research organization that provides research and educational services to the West Coast. ASGA is a private nonprofit organization representing shellfish farmers and those interested in developing shellfish aquaculture in Alaska. ASGA was formed in the early 1980s when Alaska residents experimenting with suspended oyster culture ran into a confusing wall of government permits. The organization grew a strong voice for Alaska shellfish farmers with government agencies and politicians. Successful lobbying and grants for education have been key to building support for shellfish farming in Alaska. Workshop presentations by shellfish culture experts. Look under tab “About BCSGA” then click on “Industry Encyclopedia” for information on aquaculture practices by species. USDA’s National Institute for Food and Agriculture (NIFA) facilitates the coordination of all federal programs in aquaculture, through the Joint Subcommittee on Aquaculture, to support development of a globally competitive U.S. aquaculture industry. NOAA is the leading agency supporting marine aquaculture including shellfish farming. This site keeps you up-to-date on NOAA initiatives. In 2011, NOAA established the National Shellfish Initiative. The goal of the initiative is to increase populations of bivalve shellfish in our nation’s coastal waters—including oysters, clams, abalone, and mussels—through both sustainable commercial production and restoration activities. The Red Tides Newsletters in PDF format are available for download. Represents growers in Alaska, Washington, Oregon, California, and Hawaii. PCSGA works on behalf of its members on issues such as environmental protection, shellfish safety, regulations and marketing. Paralytic shellfish poisoning (PSP) is a serious illness caused by eating shellfish contaminated with dinoflagellate algae that produce harmful toxins. Some of these toxins are 1,000 times more potent than cyanide, and toxin levels contained in a single shellfish can be fatal to humans. 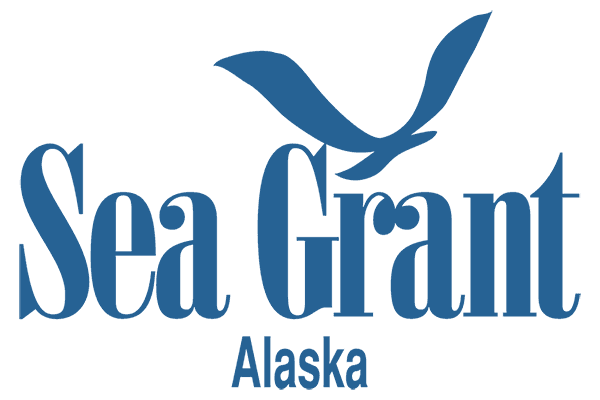 Research, training, and technical assistance for Alaska’s seafood industry. Environmental support for farmed shellfish consumption. Browse their list of shellfish for oysters, clams, and mussels. Click on the "Basic HAB Info" tab for excellent regional HAB fact sheets and information. Seafood ratings and nutrition information. A research and extension program for the 11 western states. Alaska is represented on the extension, industry, and research subcommittees and also has an appoint seat on the board of directors. Scroll down to the "Online Library" section for WSG’s publications about shellfish. The Washington Shellfish Initiative is a partnership between state and federal government, Tribes, the shellfish aquaculture industry, and nongovernment entities to promote critical clean-water commerce, elevate the role that shellfish play in keeping our marine waters healthy, and create family wage jobs.